Mark Trengove Ecological Services was established in 2001 by Mark Trengove. Prior to that, Mark established and managed the Geelong Indigenous Nursery. Mark has an extensive knowledge of the flora and ecology of the south west region derived from over 20 years field experience with a specialized interest in grassy ecosystems, environmental weeds and plant identification. Mark’s client base is extensive, encompassing local and State government, coastal committees, developers, individual clients and community groups. Over this time MTES has established a network of professionals such as planners, engineers, architects and archaeologists, who are available to provide complementary services. MTES has two qualified and experienced fauna sub-consultants on hand to undertake a range of fauna studies, as required. 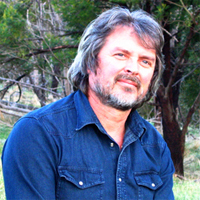 Mark Trengove Ecological Services work is well known and respected. Mark has a policy of providing quick responses and quality, accessible reports.